Ruth D. Lightfoot, age 84, of rural Ashland, passed away Wednesday, April 30, 2008, at her residence with her loving family by her side. On April 27, 1924, in Ft. Wayne, IN., Mrs. Lightfoot was born to the late Frank and Vaughna (Heiser) Wickens. She had been a resident of Ashland Co. most of her life since 1952. Mrs. Lightfoot had been employed at Mansfield Tire Co., Oak Park Tavern, and served as a Home Health Aide. 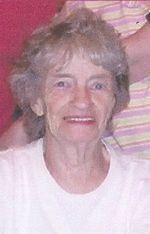 She was a member of St. Michael's Lutheran Church in Mifflin. On April 25, 1942, Ruth married Paul E. Lightfoot who preceded her in death December 2, 2004. Surviving Mrs. Lightfoot are a son and daughter-in-law: Paul W. and Karen Lightfoot of Galion, OH. ; a daughter and son-in-law: Martha and Tracy Seitz of Mansfield; 4 grandchildren: Stephanie Culler, Stan Culler, Wylea Smith, and William Lightfoot; 8 great-grandchildren; and 4 great-great-granddaughters. Also preceding Ruth were 2 brothers: Walter and John Wickens; and a sister, Dorothy Tuttle. Services will be held Saturday, May 3, 2008, 11:00 am at Heyl Funeral Home, 227 Broad St. Ashland, OH., with her friend Rev. Michael Schelling officiating. Interment will be at Vermillion Cemetery in Hayesville. Friends may visit with the family Friday evening from 6:00 to 8:00 pm at the funeral home. The family suggests memorial contributions may be made to St. Jude Children's Research Hospital, 501 St. Jude Place, Memphis, TN. 38105.